As part of an Intermittent diet plan 1 serving provides your daily salty food. Each serving provides 263kcal, 21g protein, 10g carbohydrates (of which 10g sugars), 14g fat (of which 3.5g saturates), 4g fibre and 1g salt. Season the tomatoes with pepper. Heat a pan sprayed with cooking spray oil over a medium heat, add the tomatoes and cook for 2-3 minutes, until softened, stirring from time to time but not breaking up the tomatoes. Meanwhile, beat the eggs in a bowl with some pepper. Stir in the salmon and chives and pour into a saucepan. 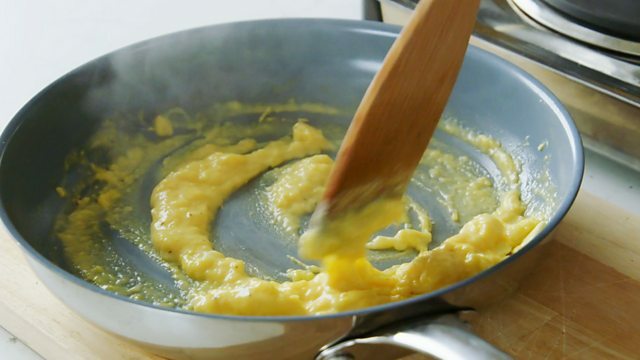 Cook very gently for 3-4 minutes, stirring slowly, until the eggs are softly scrambled. Remove from the heat and stir for a few seconds. 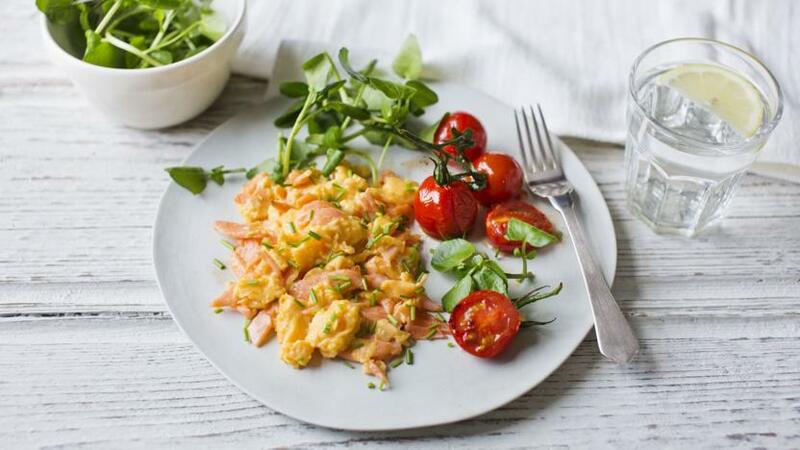 Divide the tomatoes between two plates and serve with the scrambled eggs and watercress.